Heirloom Pillow Tuft Top: The Heirloom Pillow Tuff Top is a single-sided no-flip design. 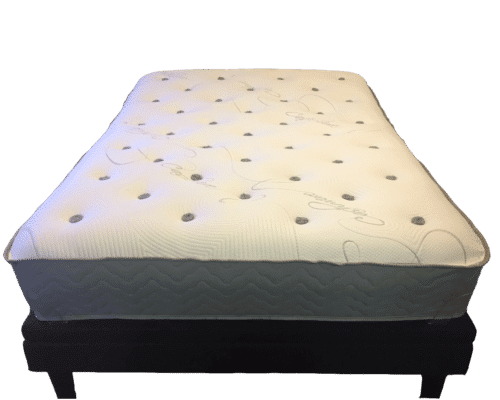 The pillow tuft top is a tufted mattress with a pillow top feel. 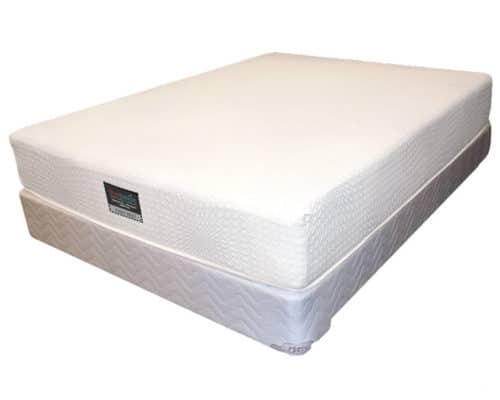 This gives the unmatched durability of an outer tufted mattress with a pillow to feel. 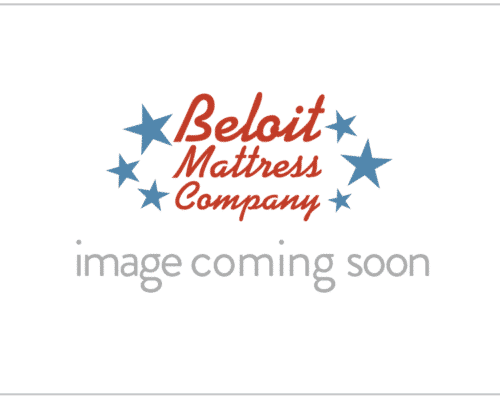 The mattress incorporates a Bolsa® Comfort Core™ Quantum® Edge Elite spring unit (1057 coils) as well as a layer of 19 gage NanoCoil® (1872 coils), 2” Talalay latex, & Pure Joma Wool, and organic cotton knit cover. 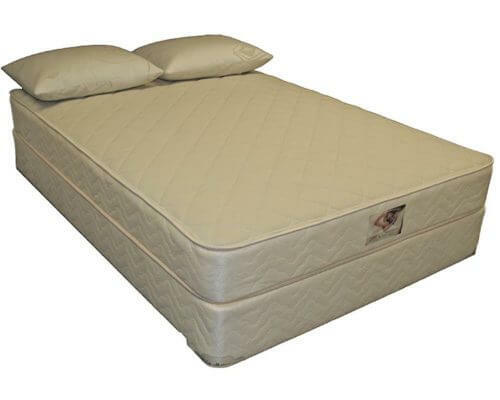 The Heirloom pillow tuft top combines the craftsmanship of yesteryear with modern-day technology and quality control. The mattress is single-sided and hand-tufted. 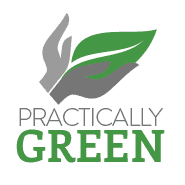 The mattress incorporates a Bolsa® Comfort Core™ Quantum® Edge Elite spring unit (1057 coils) as well as a layer of 19 gage NanoCoil® (1872 coils), 2” talalay latex, & Pure Joma Wool, and a organic cotton knit cover. 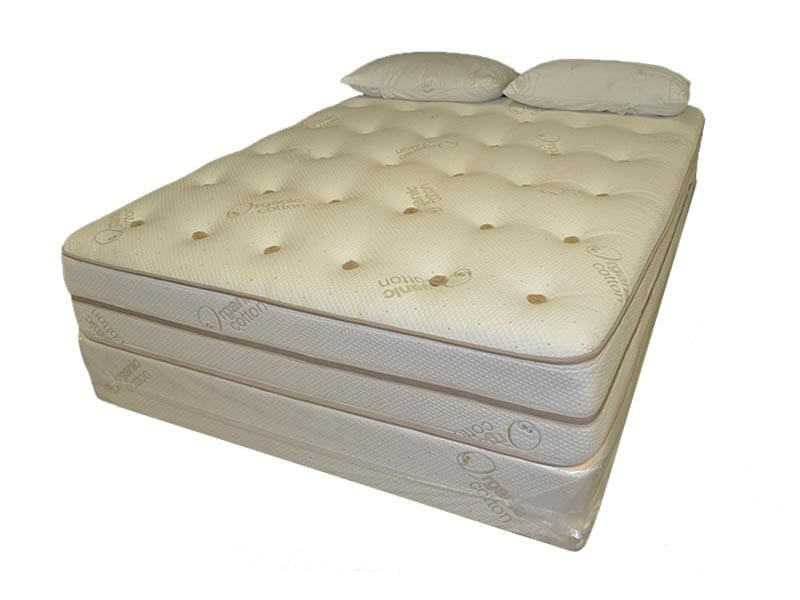 The “pillow tuft top” is hand tufted for durability and comfort. Heirloom does not require flipping. The foundation incorporates a PowerStack system for greater stability. The combination of the old and new-world create a bedding collection with superior comfort, support, & durability.